My husband and I laugh together a lot. I cannot imagine being with someone who does not share a sense of humour. However, I know many couples who do not have the same sense of humour. One of my mother-in-law’s first dates with her future husband involved seeing a Laurel and Hardy movie during which he laughed loudly. She thought he was an idiot but went on to marry him. Obviously, we don’t always laugh at the same things. This becomes quite apparent when you teach a second language class. When I teach international students at university, I find that one of the most difficult things for them to understand is what we find funny. I start one class on narration as a rhetorical strategy by telling a joke. No one laughs. Then I use that to discuss humour and cultural differences. Translating a joke would be as useless as explaining one. There is the story of an American general who visited Korea and gave a speech to a big crowd. He launched into a long joke and his translator spoke very briefly and then the crowd laughed. The general was extremely impressed and said, “You are the best translator I have ever had. How did you retell the joke so concisely?” The translator responded, “I told them, ‘The general has told a joke. Please laugh.” This anecdote illustrates the difficulty of translating humour. How do you translate or even teach humour? Can or should you even try? Even when you belong to the same culture, you do not laugh at the same things. Is there any point in teaching the students that we find something funny when they do not? Also, why is it important to understand different approaches to humour? Why can’t we just agree that we don’t understand each other in this area? I teach mostly Chinese students from The People’s Republic of China and the difference between the North American perspective versus the Chinese perspective on humour is surprisingly different. Not knowing this could lead to unforeseen consequences and misunderstandings. The article “To Be or Not to be Humorous? Cross Cultural Perspectives on Humor” describes vastly different positions on humour based on culture. 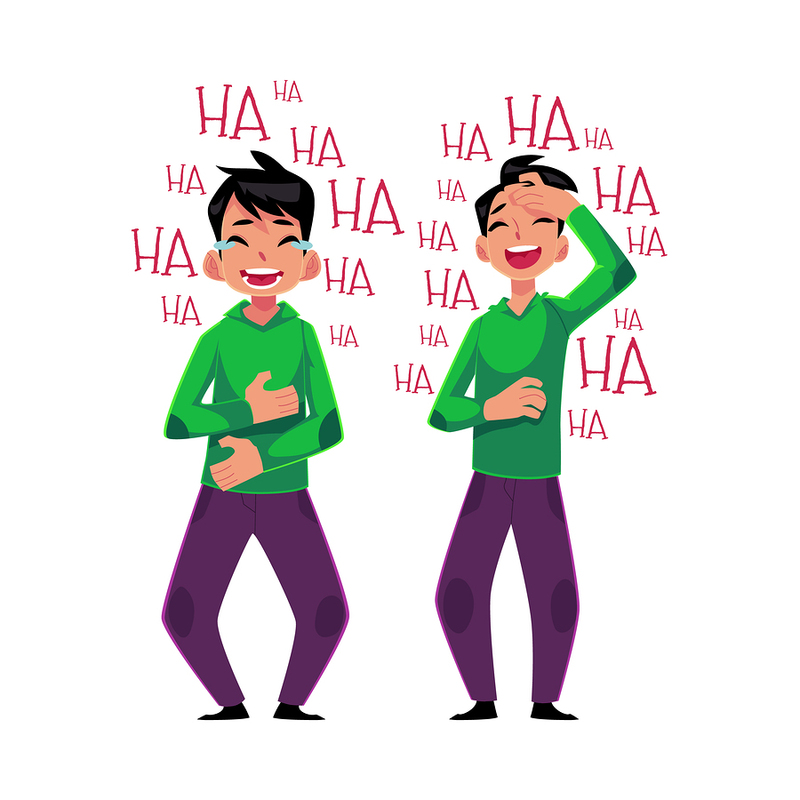 In the West, those who exhibit humorous behavior are often seen as positive and attractive (Bressler et al., 2006 as cited in Yue, Feng, Su, Neelam, 2016, p. 2). According to the studies, “Westerners tend to rate humour as an ideal and critical personal characteristic for dating or romantic partners” (Hansen & Hicks, 1980; Regan & Joshi, 2003 as cited in Yue et al., 2016, p. 2). This is something which has been validated by my own experience. In contrast, the Chinese value seriousness, so being humorous can “jeopardize their social status” (Yue et al., 2016, p. 3). Nowhere was this made more apparent to me when I was teaching my university writing course for international students. In 2016, when teaching logical fallacies, I gleefully used Trump as an example for every one of the fallacies. I used his wife with her blatant ripping off of Michelle Obama’s speech to teach the students what plagiarism was. A Chinese student came up to me after class and cautioned me about ridiculing Trump. I was dumbfounded. I think he believed that I could have lost my teaching position and was trying to protect me. Why are the Chinese generally negative about humour? Traditionally, being humorous is frowned upon because Confucianism has associated humor with “intellectual shallowness and social informality” (Yue, 2010 as cited in Yue et al., 2016, p. 3). Not surprisingly, Chinese students do not rank humor as characteristic of an ideal Chinese personality. Further studies found that Chinese undergraduates tended to use negative adjectives when describing humour and positive adjectives when describing seriousness, whereas the opposite was true for American undergraduates. Such a finding illustrates different views toward humor in general held by Westerners and Chinese (Yue et al., 2016). Through these examples, it is apparent that “[a]lthough humor is a universal human experience, people of different societies perceive and use humor differently” (Martin, 2007; Yue, 2010 as cited in Yue et al., 2016, p. 1). Even if we might not be able to teach our international students to fully appreciate our sense of humor or understand theirs, I think that it is very important as ESL instructors to be aware of the differences and the potential misunderstandings that may arise. Ruth Yu has been a lecturer at the Kings University College for four years. She teaches University Writing in English to international students. She has also taught high school for twelve years and is now an occasional teacher with the Thames Valley School Board.